OK here we go again another server and another space issue. As soon as you start the service the file will be recreated but it will be much smaller. I had to change the Primary DNS suffix to some servers. To do that the server were moved to a separate OU and a Group Policy was applied to that OU to change the DNS suffix. I’ve issued gpupdate /force command on the servers and restarted them. After restart I was not able to login to some of them with my domain credentials. Only servers with Windows Server 2008 were having this problem. Windows 2003 servers were running as expected. The error that I was getting was: The security database on the server does not have a computer account for this workstation trust relationship. This come as a complete surprise to me. 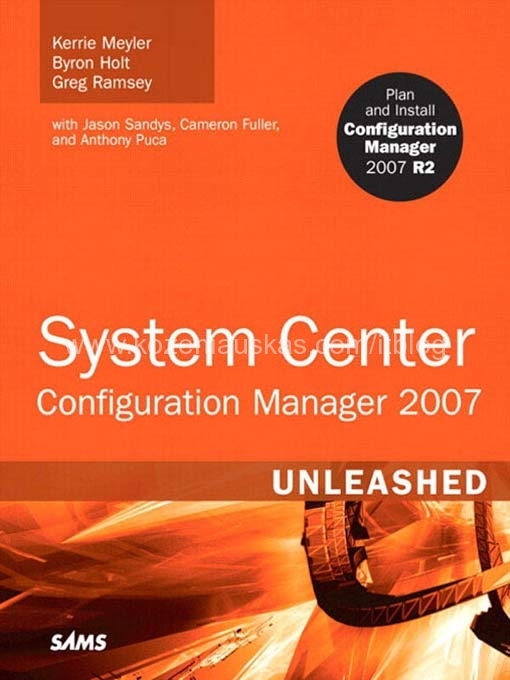 I’ve found out that my blog was referenced in the System Center Configuration Manager (SCCM) 2007 Unleashed book that was published in 2009 by SAMS. In page 1108 you can find my name and URL to the blog, although last year I’ve changed the naming in my domain but I’m going to make the link in the book work. Here is a handy document from HP regarding iLO configurations. The document cover such things as what are the best practices for deploying iLO in the organization, how to configure iLO and what tools you can use(some scripting examples included), what firewall ports should be opened for iLO to work and some other useful information. I had this problems before on SCCM server and it appeared again. SCCM hides somefolder from users but they are in know location. When they are in known location it is easy to unhide them. But what to do if the folder is hidden somewhere and nobody can pin point the location. This is what happened to one of the servers. The server has a partition size of ~72GB the total used space is ~28GB but when I’ve checked the folder size it was saying that all files are using only ~5GB. So where is my disk space gone? Well I suspect that some folder are hidden. So the first thing to do would be to choose option to ‘Show hidden files and folders’ and untick ‘Hide protected oparating system file’ this have not shows the hidden folder for me. This command remove hidden and system attributes from all the files in the partition. Once that was done a new sub folder appeared that had load of files and it was using ~23GB of disk space. Here is what happens when you try to do things too fast. I was imaging 4 servers at the same time, all these servers had the same name but were going to be joined to different domains. I’ve done that many times before but this time after joining 2 servers to the domain I could not join the other 2. The following error occurred attempting to join the domain domain.local.